The smoothie is a fantastic reminder of just how great it feels to put real, fresh fruits and vegetables into your body. After you start the day with a smoothie, fast food doesn’t feel quite as appetizing. The smoothie is a classic, frothy drink combining the best flavors, blending them harmoniously to create a magical medley of fruits, flavors, and textures that is portable and efficient. 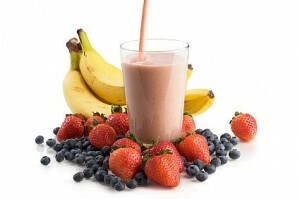 We have compiled the the list of the top 10 best smoothie recipes of all time. Let the best smoothie recipe countdown begin! 10. The Ultimate Banana Smoothie – This recipe calls for 3 ripe bananas, milk, vanilla yogurt, peanut butter, honey, and a bit of ice. Together, these ingredients create, by far, the best banana smoothie that one can make. It is an absolutely perfect treat. 8. Pawpaw and Mango Smoothie – Sliced Mango, peeled and sliced papaya, orange juice, sugar, and ice or water as desired. Truly one of the most amazing “tropical” smoothies one can ever partake in. It’s great for any occasion and anytime of the day. 7. Strawberry & Pineapple Smoothie – A classic tropical smoothie. Frozen Strawberries, milk, pineapple juice, vanilla yogurt, sugar, and ice as desired. As far as fruity smoothies go for just any occasion, this is a great smoothie. Easily one of the better ones. It can be eaten at basically any time of the day and makes for an amazing drink. 6. Melon Lime Cooler – Honey dew melon, lime sherbet, lime juice, ice as desired, and strawberries. This is a very simple recipe, however, the taste is unreal. It makes for an amazing desert with a color that is very pleasant. It’s seldom there’s a smoothie that is easy on the eyes as well as the tongue. 5. Iced Mocha Fusion Shake – Milk or creamer, vanilla extract, granulated sugar, a pack of any instant mocha coffee mix, and ice as desired. Fantastic coffee smoothie well worth a try. I understand that some people are not coffee drinkers, but this works well as a desert as well as an all around grand smoothie. Consider adding an energy supplement to keep your body moving all day. 4. 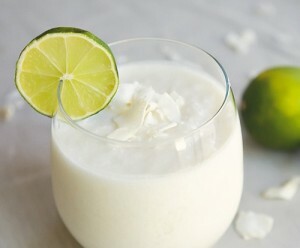 Coconut and Lime Smoothie – Plain yogurt, coconut milk, coconut flesh for added texture and stronger taste (optional), the juice of a single lime, honey, and ice as desired. A spin on the classic Piña Colada flavor involving lime. Relatively sweet while still holding the essence of both lime and coconut. Very delicious smoothie. 3. Orange Glorious – Milk, one cup of ice water, frozen orange juice concentrate, ice as desired, vanilla extract, and sugar as desired. This is an excellent source of Vitamin C and also extremely delicious, which makes it a great kid friendly smoothie. One of the better Orange Smoothies out there! 2. Brown Stew – A small handful of cashews, a small scoop of cashew butter, one cup of either water or ice, medjool dates or agave nectar, and plenty of raw, powdered cacao or chocolate. This is easily the best smoothie of all time. Its flavors mesh perfectly while also being a light and naturally nutty delight. What really pulls it all together is the chocolate. Brown Stew takes the crown in terms of flavor and consistency. A little nutella pulls it together nicely! 1. 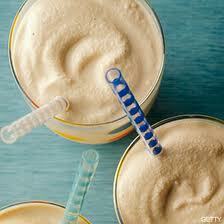 Peanut Banana – Peanut Butter, Banana, Plain Yogurt, Milk (or Ice Cream). Blend Ice and milk down and add other ingredients. Overall flavor is like a perfection of Peanut Butter Cups. Well, there you have it! The top 10 best smoothie recipes. 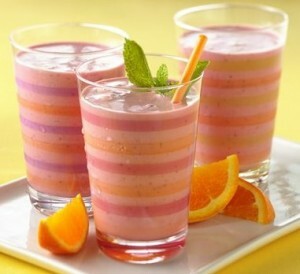 If you have a great smoothie recipe that includes fabulous images, send it to us and it may be featured on BerryRipe! I might have to give that Peanut Banana a try! those sound delicious. I love coconut and lime and I’m shocked to see pawpaw in one. You’ve got to be kidding me-it’s so trealpnrantsy clear now! The strawberry pineapple smoothie sounds amazing! I can’t wait to make that one! Ooh strawberry & pineapple sounds amazing! They ALL do! Mango smoothies are my absolute favorite. I want to try yours! Oh my word! I want to make all of them now!! The recipes sound delicious, but I’m having a hard time with NON specific portions. Could you please email them to me? We would like to try the Lime & Coconut Smoothie! Can someone please give us the ingredients Please? We really would like to try it. If you can Please Message is on here! Simply wanted to emphasize I am just thrilled I stumbled on the web site!.